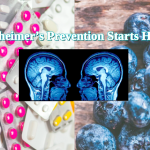 TUCSON, Ariz., Sept. 19, 2018 /PRNewswire/ — The Alzheimer’s Research and Prevention Foundation (ARPF) announced today that its paper, “Stress, Meditation, and Alzheimer’s Disease Prevention: Where The Evidence Stands, Khalsa, DS (2015),” published in The Journal of Alzheimer’s Disease (JAD) was ranked as one of the top 10 JAD-viewed articles in 2017, out of 500+ articles published each year. 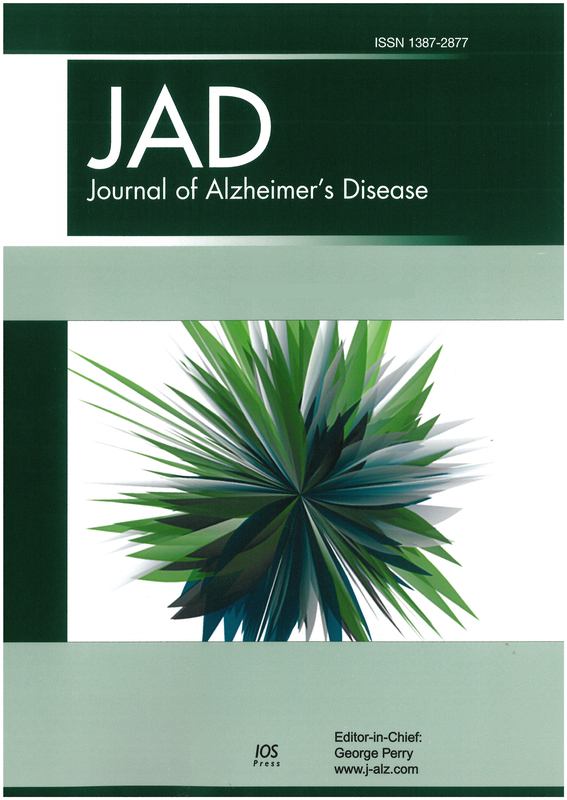 Editor-In-Chief of JAD, George Perry, PhD presented this information at the 2018 JAD Editorial Update, held in Chicago, IL on July 23, 2018, in conjunction with the Alzheimer’s Association International Conference. 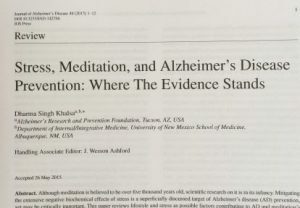 Dharma S. Khalsa, MD, Founding President/Medical Director of ARPF, said “It is one of only a handful Integrative Medicine articles that ranked so high and the top article published by JAD on yoga/meditation and AD prevention.” This paper reviewed lifestyle and stress as possible factors contributing to AD and the effects meditation has on cognition and well-being for reduction of neurodegeneration and prevention of AD. The paper highlighted Kirtan Kriya (KK), an easy, cost-effective, yogic meditation technique requiring only 12 minutes a day, which has been successfully employed to improve memory in studies of people with subjective cognitive decline, mild cognitive impairment, and highly stressed caregivers, all of whom are at increased risk for subsequent development of AD. KK was shown to improve sleep, decrease depression, reduce anxiety, downregulate inflammatory genes, upregulate immune system genes, improve insulin and glucose regulatory genes, and increase telomerase by 43%; the largest ever recorded. KK also improved psycho-spiritual well-being or spiritual fitness, important for maintenance of cognitive function and prevention of AD. KK is easy to learn and practice by aging individuals. 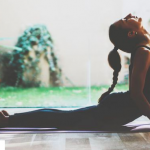 It is the premise of the paper that meditation in general, and KK specifically, along with what he calls Spiritual Fitness, is beneficial as part of an AD prevention program. KK and its research will be explored in depth by ARPF at their second annual Brain Longevity Therapy Training in Washington, D.C. from October 12-14, 2018. All therapists, caregivers, yogis, health practitioners, and social workers are invited to gain knowledge around neuroscience, yoga, and the life-changing impact meditation has on the brain. Learn to speak authoritatively on Alzheimer’s prevention to clients, students, community and family. Become equipped with practical tools that enhance your career while spreading wellness among millions in need. The original presentation can be viewed here. The original paper can be viewed here.